As part of its objective to advance knowledge of the science of mineralogy and its applications, the Society awards a small number of bursaries to research postgraduate students. These bursaries are intended to allow students to develop, undertake, apply and communicate research in any area of the mineralogical sciences (including crystallography, geochemistry, petrology, environmental science and economic geology). 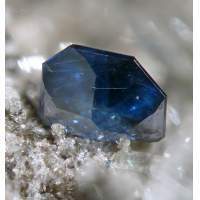 By making these awards, the Society also seeks to encourage the development of postgraduate researchers into the next generation of researchers in mineralogy. The President and Council of the Society therefore request applications for bursary awards from students registered for a postgraduate research degree in the disciplines of mineralogy, crystallography, petrology and geochemistry. Application deadlines and activity cutoff dates are announced here. Applications, giving details of the proposed activity should be received by one of the closing dates given above. Applications must consist of: (i) a completed pro-forma (see below) including confirmation that the research student’s supervisor supports the application, (ii) a single-page outline of the research activity addressing the ranking criteria (below), (iii) a single page outline of the resources needed to complete the activity (including all estimated costs, any other support anticipated and the sources of other funding that will be used to enable the activity), and (iv) a CV of up to two pages in length outlining the academic background and research experience of the applicant. The award(s) will be made after each application closing date and the sum available will be £4000 accruing to the fund each year. Donations made by members and others will be added to the fund in the year received. Ordinarily, bursaries will be limited to a maximum of £500 or 50% of the total cost of the activity (whichever is smaller). Money to pay for the use of internal facilities will not be provided in any circumstances. Applicants are allowed to receive more than one award (but not in the same year) from the Society/Special interest group, but must include details of previous awards in their application. Applications, which must be in advance of the proposed activity, are welcomed from any research postgraduate student (i.e. a registered for a postgraduate degree assessed by the creation of a dissertation or thesis and not including taught components assessed by examination or coursework) in an appropriate discipline. The activity must take place between the starting and ending cut-off dates advertised on this website for the appropriate closing date. The Society reserves the right to make no awards. Any unused bursary money from one year will accumulate to the fund for use in the following year. Members of Council will not be eligible for the award. The recipient will be required to subsequently submit a report of the research activities for publication here on the Society’s web site. Applicants should complete the application form then pass it on to their supervisor together with the outline of the research activity, the outline of resources requested, and their CV. The supervisor should then complete last box of the form indicating that they are content to support the applicant in the application and send all the documents by email as a single PDF file (of up to five pages in length) to the Executive Director. Scientific impact. Examples of potential scientific impact could come from scoping activities that could lead to new avenues of research, from research activity involving fieldwork or the use of research facilities away from the postgraduate’s base, collaborative research with non-academic partners, or the presentation of research findings to the academic community. This list is not intended to be exclusive; the applicant should seek to demonstrate scientific impact in the outline of the research activity. Opportunity for researcher development. The process of developing a bursary application offers an opportunity for researcher development but any other potential development activities should also be included in the application. In particular, when the application is to allow the presentation of research at an academic conference plans should be in place to maximise the developmental benefits available by attending the conference. Bursary applications to support activities directly relating to a programme of research designed by an academic supervisor (for example, closely conforming to a project outline that formed the basis of an advertised PhD opportunity) are unlikely to score highly in this area. Both criteria have equal weight. In cases where it is not possible to distinguish applications on the basis of the two primary criteria, the sub-committee may consider if the candidate received money from a Society source previously, and all other things being equal, members will be favoured over non-members. The chair sub-committee will provide an annual report to Council including details of the number of applications received and awards made. The chair will also be responsible for passing on the decisions of the sub-committee to the Society’s staff who will inform applicants of the outcome, manage any payments to applicants, and transfer the reports received from successful applicants to the Society’s website.